Give the gift of experience! Send your friends and family on a beautiful glass bottom boat tour to Flowerpot Island! ** Children MUST be on declared on ALL tickets. As Flowerpot Island is a National Park, all drop off tour guests will be required to purchase a National Parks Pass in order to be dropped off on Flowerpot Island. For more information, click here. 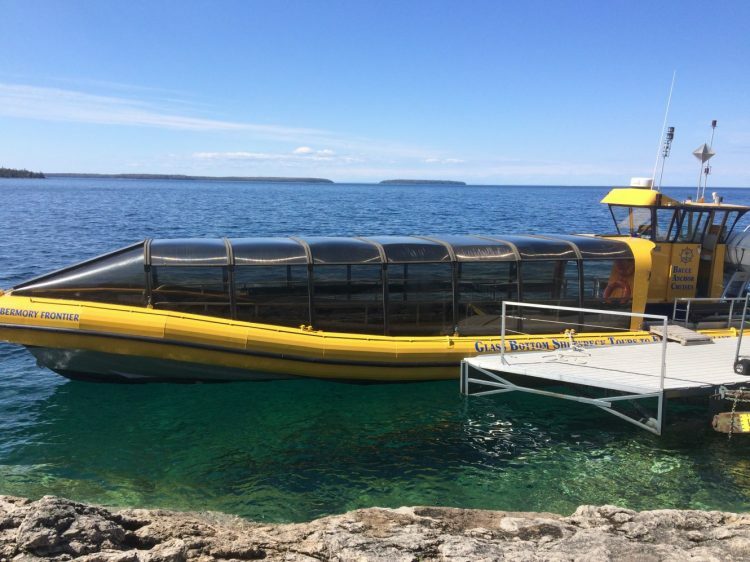 First of all, allow us to introduce our newest and largest glass bottom boat, The Tobermory Evolution! This custom built vessel was delivered to us in July 2016. We had it built to provide the most impressive tour of Fathom Five Marine Park while ensuring the highest standards of passenger comfort. 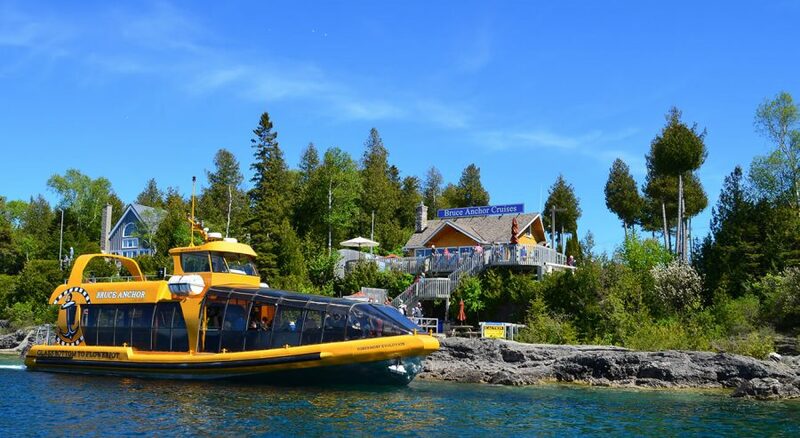 The 150 passenger capacity makes it the largest of any tour boat operating in Tobermory. The Tobermory Evolution features two large glass bottoms, a large upper viewing deck as well as shelter from inclement weather and direct sunlight. 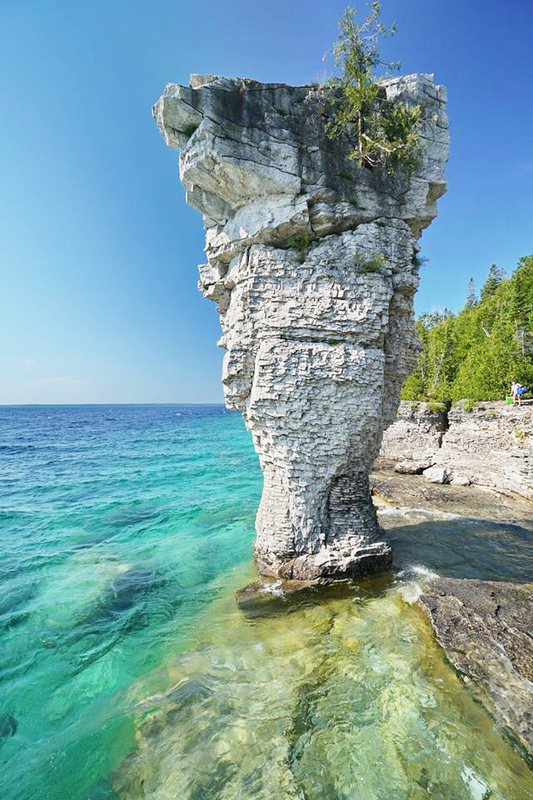 Explore Fathom Five National Marine Park onboard this Bruce Anchor Cruises exclusive cruise! With this tour you may choose the stay aboard option to view shipwrecks and several islands from the water or you may choose the weekday drop off option to explore and hike on Flowerpot Island. The Tobermory Explorer is a 75 passenger vessel. The Explorer has a fully heated cabin and washroom onboard setting the stage for a comfortable and enjoyable cruise. It also boasts a canopy to keep passengers out of the sun and not so nice weather. The Tobermory Frontier is a 50 passenger vessel. The Frontier features a canopy to protect passengers from the sun, wind and rain during the Spring & Fall sailings. During the peak season, the Frontier serves as a direct shuttle to and from Flowerpot Island. 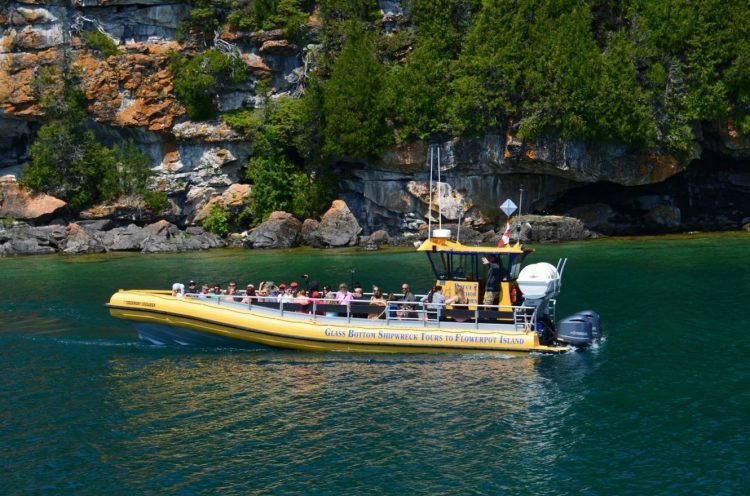 The Tobermory Crusader is our fastest glass bottom cruiser. The Crusader departs Tobermory and is over the shipwrecks within 5 minutes! 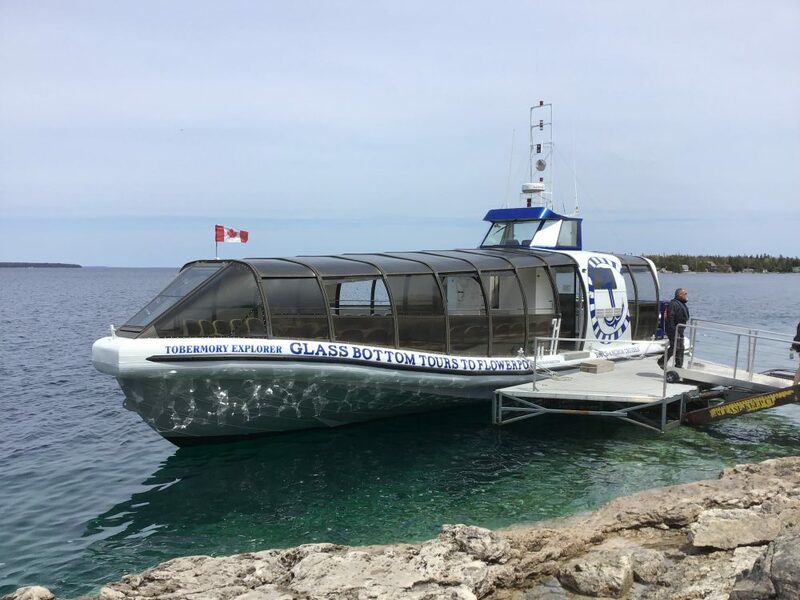 After you view the wrecks through our glass bottom, we cruise directly to Flowerpot Island where passengers disembark to hike and explore the island.